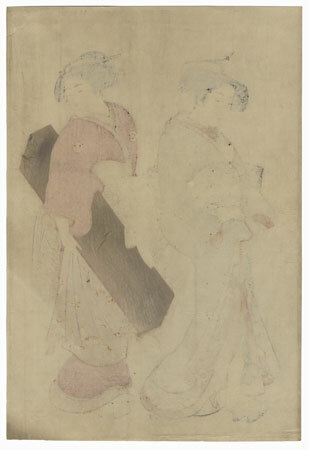 Comments - Lovely scene of a geisha and her maid on the way to a teahouse. The beauty wears a yellow-green kimono tied with an obi patterned with stylized flowers and birds in flight. Her attendant wears a wine colored robe with a striped obi, a butterfly print apron tied around her waist. 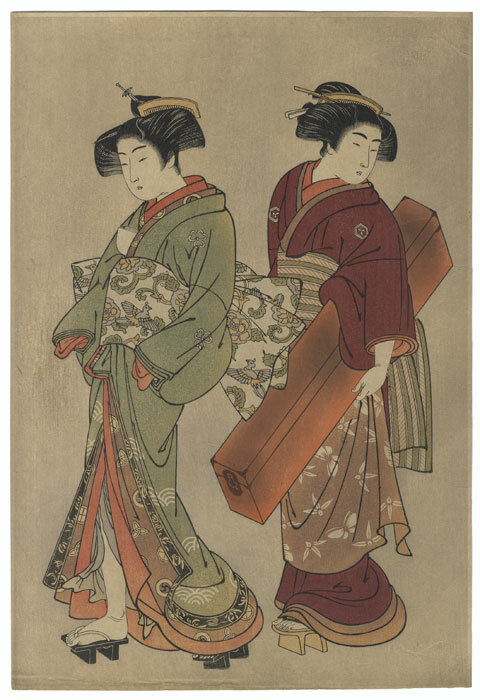 She carries a shamisen box under her arm as she looks back over her shoulder. An attractive design with beautiful soft color and lovely detail in the faces and hairstyles. 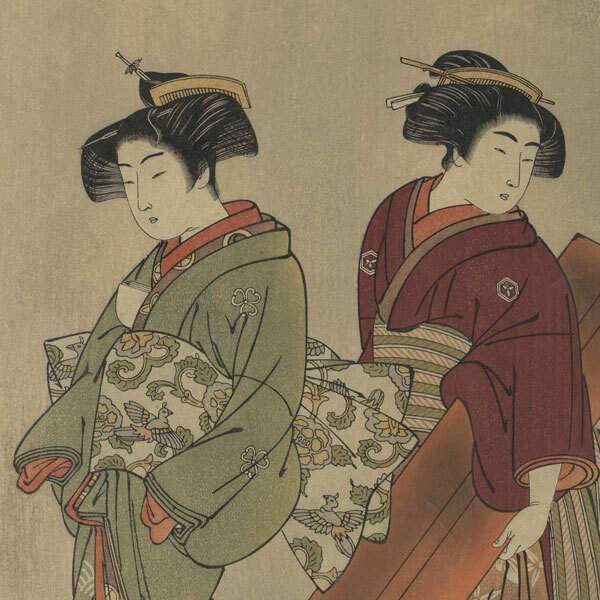 A classic Edo era beauty subject. Condition - This print with excellent detail as shown. Slight toning, a few creases at edges. Please see photos for details. Good overall.